Alison Brooks was on the judging panel of the 2014 Future Wimbledon Ideas Competition, whose winners were announced on 8th October. In 2015 Merton Council will commission a masterplan to guide investment and manage growth for the next 15 years, considering the potential of Crossrail 2 as a catalyst for growth. This competition is a pre-cursor to that masterplan. 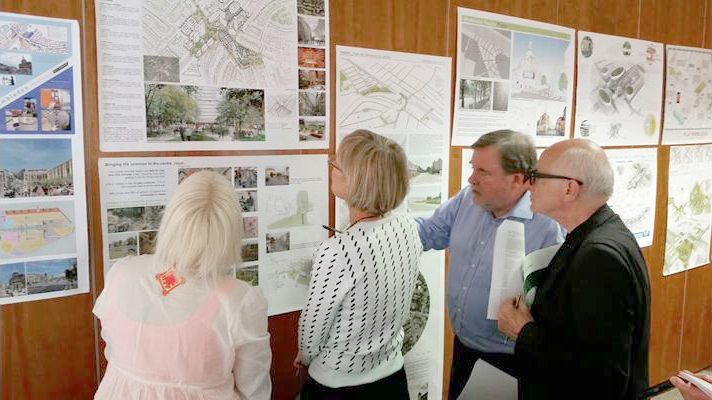 Challenging ideas are often overlooked in the process of formal masterplanning. Rising stars often do not get a look-in and the community can sometimes feel side-tracked by the formality of the planning process. This competition is an opportunity to share ideas for Wimbledon that will inform future plans. It is an opportunity to showcase emerging talent and for the community to share aspirations at the earliest stage.